The terms ‘our’, ‘we’ and ‘us’ are used to denote the individuals and entities operating Pinetarpress.com. To improve the user experience on our website and the delivery of our services to you, we gather different types of data. This includes personal data, service usage data and tracking cookies. Please find details on each type below. Personal data, as the name indicates, is the identifiable information you provide us. This information may be provided at the time of signing up, through a Contact Us form or by any other means. It is specifically the information that can identify you. Data from service usage and tracking cookies may also include personal data. Pinetarpress.com may also gather data on how you access and use our services. This type of data is known as usage data. Usage data may include specific information about the computer or device through which you access and use our service. Such data includes time of website visit, the length of the visit, pages visited during the session, browser type and version used, the computer’s IP address and other related data. In order to make sure that our website delivers a personalized user experience for you, we use tracking cookies. These cookies simply track your activity specifically on our website. By tracking this activity, we are able to show you more relevant content. You have the option of blocking the tracking cookies. In such a case, you may not be able to access some of the content on our website. Security Cookies: These cookies gather data for security purposes, to ensure the safety of website and its visitors. Preference Cookies: These cookies remember the settings and preferences you choose while on the website. Session Cookies: Session cookies typically last for the duration of a website visit session and track browsing information. We understand that the privacy and security of data is immensely important. This is why we share this data only with our trusted partners through suitable data-sharing agreements. These agreements ensure that your data remains secure and is used fairly. Through such data-sharing, we also improve the user experience on our site and across the services we offer. Our data-sharing agreements share your data only with such partners who process the data. This ensures the privacy and security of the data. In other cases, we may be obliged to disclose your personal data to law enforcement agencies and other legal entities when required. We may also share this data with other entities if you give your consent. The security of the data you provide us is of paramount importance to us. This is why we use every available measure to protect this data. That being said, no data transmission method is 100% secure and fool-proof, so we can’t absolutely guarantee the security of the data. Pine Tar Press does not target children or knowingly gathers their information through any source. You agree to the Terms and Conditions of Use of this website by visiting it. You are solely responsible to ensure your compliance with the applicable laws when visiting this website. In case of violation, you are prohibited from visiting the website. All the content provided on this website is covered by the copyright and trademark laws. Reproducing this content without prior permission is a violation of the law. If you do not abide by any of these prohibitions, Pine Tar Press has the right to revoke the license at any time. The termination of the licenses necessitates that you destroy the materials that you have downloaded from the website and desist from viewing them any further. Pine Tar Press hosts the materials on its website on an ‘as is’ basis. The website disclaims and negates any and all warranties, including implied or express warranties. These include any conditions or implied warranties that may apply to the suitability and fitness of the materials for a specific purpose, the merchantability of the materials, or intellectual non-infringement and related rights violations. The website does not offer any warranties regarding the reliability, accuracy and relevance of the materials hosted on the website or on any other sites or materials linked to it. The use, misuse or the inability to use Pine Tar Press’s contents and materials shall, in no event, be a responsibility for the website and its related vendors, nor can they be held liable for it. This includes any loss of data or profit which may arise because of any kind of business interruptions. This applies without limitations to such instances as well where written or oral notification of the possibility of such damage may have been provided to the website or its representative prior to the actual damage. Such limitations may not be applicable to you in the case of jurisdictional limitations for incidental or consequential damages. Pine Tar Press website does not warrant the accuracy, completeness or freshness of the materials offered on the website. It may contain errors related to the typographical, photographic and technical aspects of the website. The website has the right to make any changes to these materials at any time without committing to a specific update schedule now or at any time in the future. 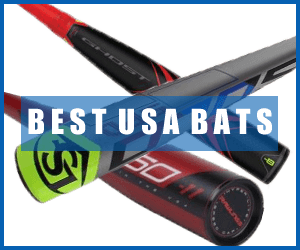 Any links included or cited at Pine Tar Press do not imply endorsement by the website. Users must click these links and navigate to them at their own risk. Pine Tar Press is also not responsible for any websites or web pages linked to it. The laws of the State of shall govern any claims that are directed at Pine Tar Press. This is applicable despite any conflict of law provisions.